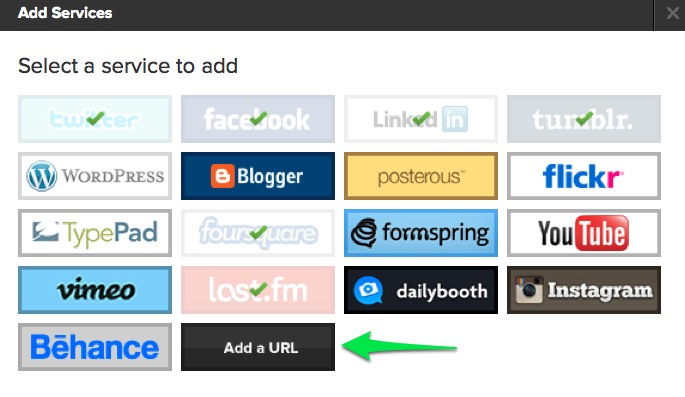 One of my favorite features we offer is the ability to add and customize URLs. Below, I’ll show you how to do this with my Google plus account. Because G+ has no API or RSS (yet) a custom URL is the best way to add it to your page. First, click the “Add a Site” button on your page. Then choose the Add a URL option. When prompted, add the URL you’d like and confirm. You can see I added my Google Plus profile URL. 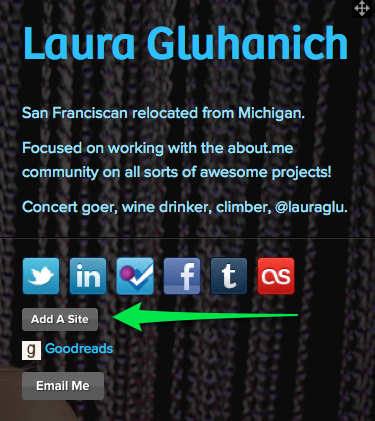 Finally, click the pencil in your list of URLs, to edit the text used for the link. I chose G+ for mine. And you can see the final product at my page. Yup! You weren’t the first, but I wrote this piece after helping you. Glad it helps! Do you know the timing for getting an API? Nope – we’ve signed up to get access when it comes out though.